Guess what the new GoPro action camera is going to be called? If you guessed anything other than “GoPro Hero 7” then you have a lot more imagination than the people at the action camera maker. Now, any ideas what it’s going to look like? 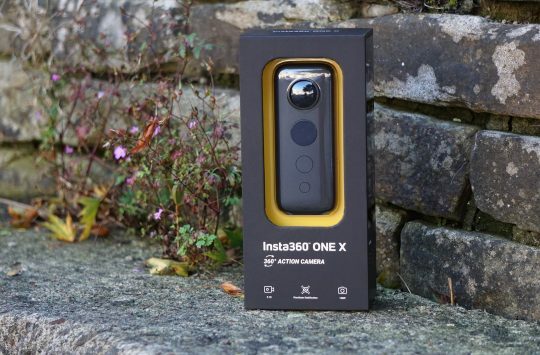 It’s that time of year where device manufacturers start to release hot new kit in a bid to attract new sales, so it’s hardly surprising that GoPro is planning to release its new action cameras. 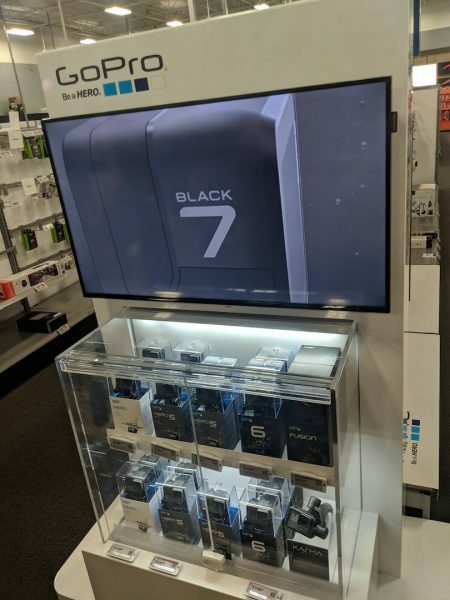 GoPro POS in the United States shows the unreleased GoPro Hero 7. What is interesting though is that GoPro POS (points of sale) across the U.S have been showing up video and images of an unreleased GoPro Hero 7 action camera. Details are a little thin on the ground at this time, but what the images do show are 3 versions of the camera in White, Black and Silver specification levels, with the white and silver versions shipping without a front LCD display. 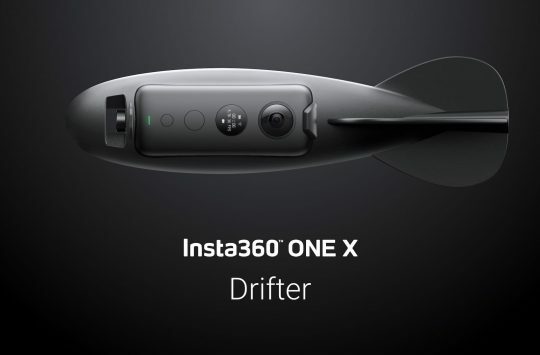 The design of the Hero 7 stays similar to the current Hero 6, and also boast waterproofing of up to 33 feet/10 meters without the need to use an external case. Visually similar to the current GoPro range only some don’t get the front LCD display. While we don’t know what specs the cameras have, it’s believed that the GoPro Hero 7 will feature updated image stabilisation features that will match those achievable with a gimbal, updates to the voice controls and perhaps even a new GoPro developed processor are also possible. 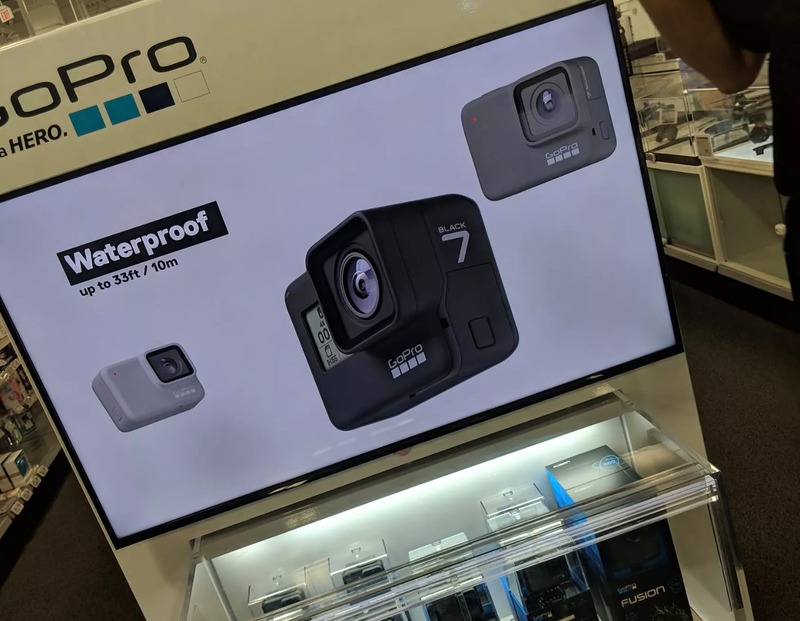 GoPro hasn’t commented on the Hero 7 but with the timing of these leaks, it seems likely that the new action cameras will launch around the end of September. 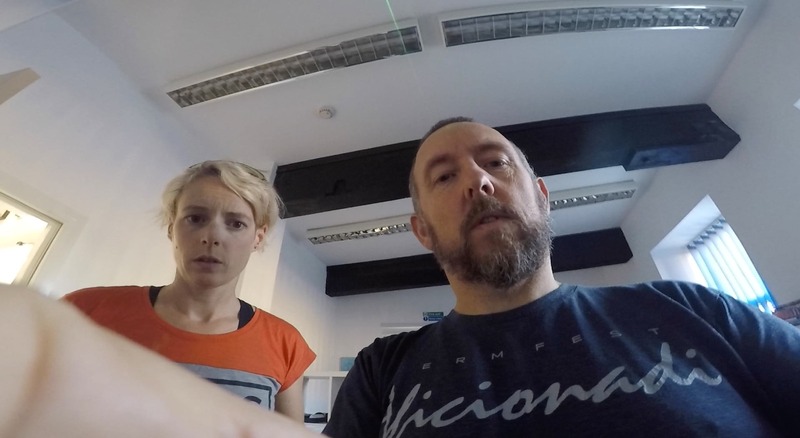 In other GoPro related news, here’s an image taken from our office GoPro last week, showing Hannah and Mark asking the questions “Is it recording now?”. 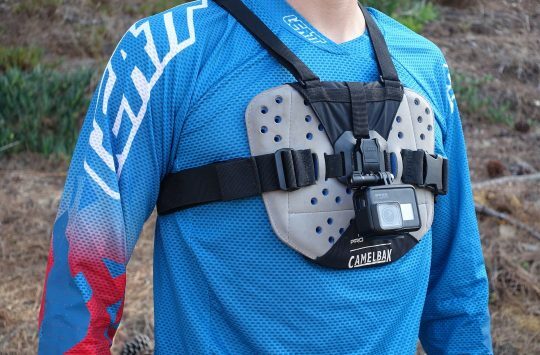 We wonder if you use an action camera yourself? Do you use a GoPro and is it the latest version? Are you likely to update to the Hero 7? Let us know in the comments section below. Review: Spank Spike 35 Vibrocore Bar - Big, Burly, Comfy - And 820mm Wide! Check out the Rylo, that is a hot new product, auto stabilisation using 360 view and software. I actually might conceivably upgrade – I’m on a Hero5 Session, which is a bit limited for lots of applications because of the lack of any screen. The stabilisation etc. probably means it’s going to be rather pricey though. I think it’s vital to edit GoPro footage quickly (if you’re going to) or to just to get rid of it. Same with drone video. No one wants to see most of it, no one wants to see much, even of the good stuff. A well-edited 90-seconds, bin the rest, move on. (Or just use it to memorise tracks and then bin it, if you’re pro AF). Wonder if they fixed the design flaw that causes accidental damage to the rear LCD of the hero if you insert the microsd card in between the battery and card slot?